Disneyland Food and Wine Festival Event Booking Now Available! 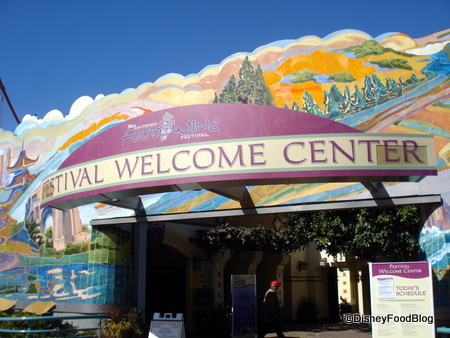 You KNOW how excited I am about the return of the Disney California Adventure Food and Wine Festival, right? Well, if you’re with me on that — and can’t wait ’til it starts NEXT MONTH (!!!!!) — I’m happy to let you know that booking is now available for the Festival events! There are currently two types of bookable events at the Festival this year: the Beverage Seminars and the Celebrity Kitchen events. Both can currently be booked at Disneyland.com and require pre-payment. DCAFWF Beverage Seminars are built to showcase the art and science behind some of the world’s most popular adult beverages. Up to 75 guests will enjoy a 45-minute lesson led by an expert winemaker, sommelier, brewmaster or industry expert. The outdoor seminars take place on the Sonoma Terrace at Golden Vine Winery and include up to 3 sample tastings! See a full list of Beverage Seminar dates, times, and presenters here! On Stage 17, celebrity chefs like Robert Irvine and Guy Fieri will entertain the audience with a 90-minute demonstration from a demonstration kitchen on the main stage. News! 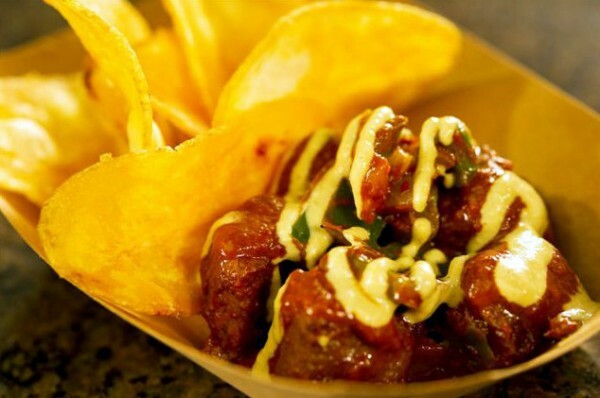 2015 Epcot Food and Wine Festival Confirmed Booths, New Dishes, and More Details! The Epcot Food and Wine Festival will celebrate its 20th anniversary in 2015, and today, we’re starting to get an idea of what this year will include. 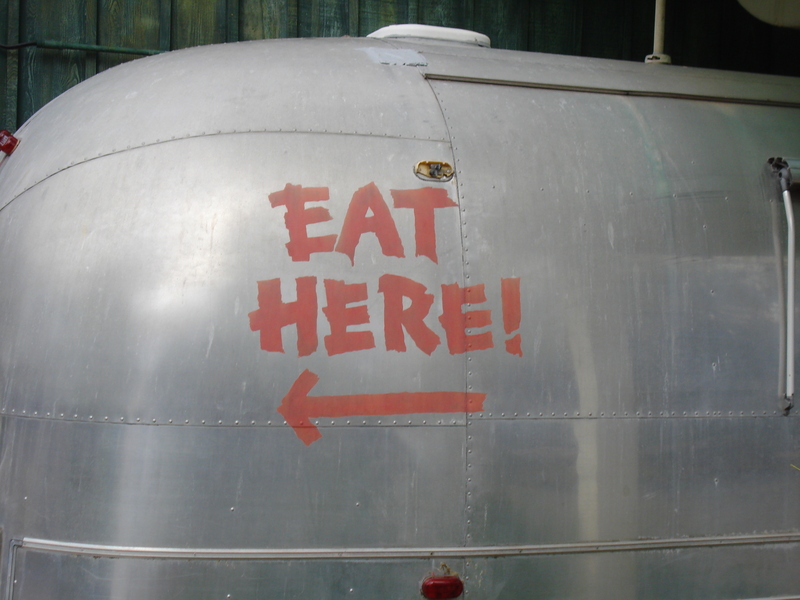 We have updates on everything from food to new attractions, so let’s get to it! While we anticipate lots and lots more announcements about new food items, we’re getting our very first glimpse of some eats that will debut in the 2015 Epcot Food and Wine Festival Booths! The Scotland Booth is back and will debut a brand new drink, the Scottish Citrus Thistle! A Grilled Sweet and Spicy Bush Berry Shrimp with Pineapple, Peppers, Onions and Snap Peas will be a highlight at the Australia Booth, and the New Zealand Booth will tempt guests with a Seared Venison Loin with Wild Mushroom Ragout and Kumara Dumpling. Other new dishes will include Pepper Bacon Mac ‘n Cheese (what WHAT?!??!?) at the Farm Fresh Booth. But I super hope that amazing Hash returns in 2015! Of course, we are crossing our fingers and hoping that plenty of dishes that we love return as well. 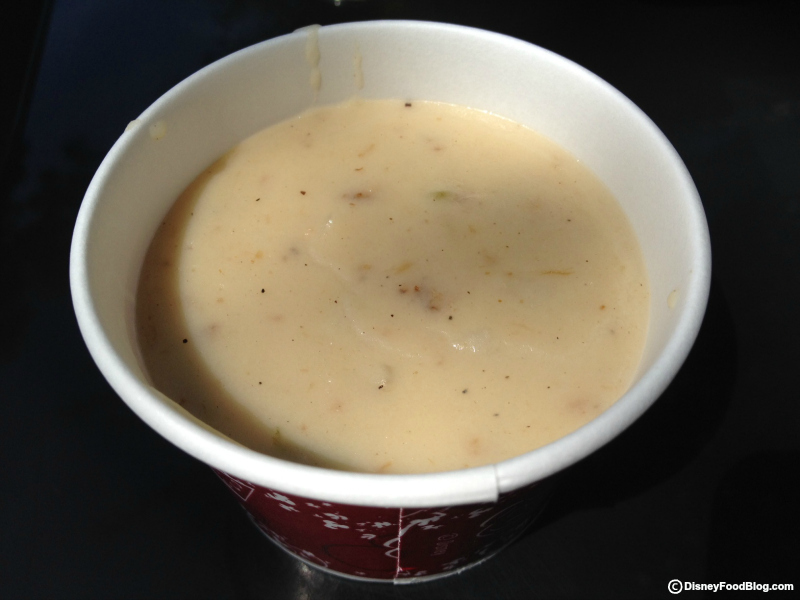 We do know that the Canadian Cheddar Cheese Soup is returning to the Canada Booth! We cannot wait to check out a brand new festival Premium Event — the French Family Meal Traditions Lunch, which will take place on Fridays and Sundays. 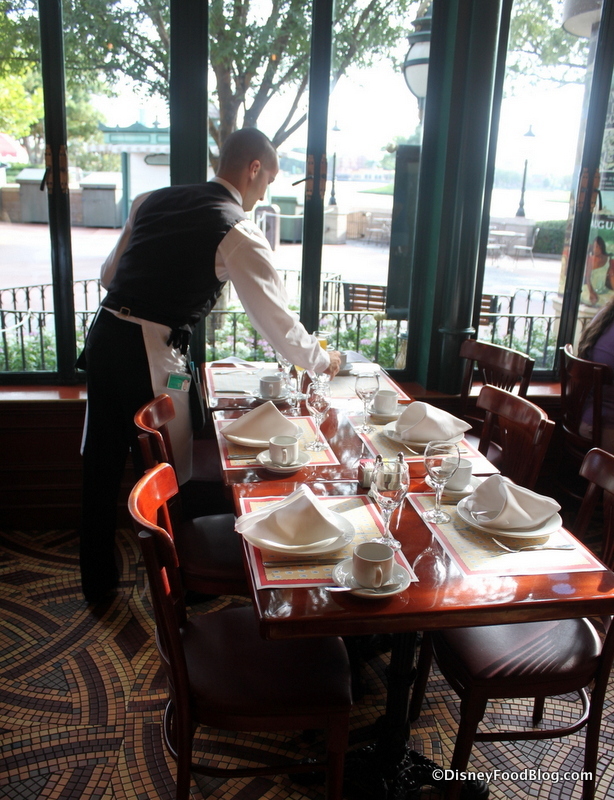 If the French Family Meal Traditions Lunch is Anything Like the Parisian Breakfast, We Can’t Wait! A brand new premium party, the Rockin’ Burger Block Party, will also take place on select dates. More details to come about that one! Taking in an Eat to the Beat Concert as the sun goes down is a great way to enjoy your evening at the festival. And this year, we have some brand new acts to choose from. New acts Tiffany, Everclear, Maxi Priest, and Chaka Khan will take the stage at the America Pavilion in 2015. They’ll be joined by several returning acts, including Wilson Phillips, Smash Mouth, The Pointer Sisters, Jo Dee Messina, Boyz II Men, and Big Bad Voodoo Daddy. To check out the FULL official line up, click over to our Eat to the Beat Concert Series Page! 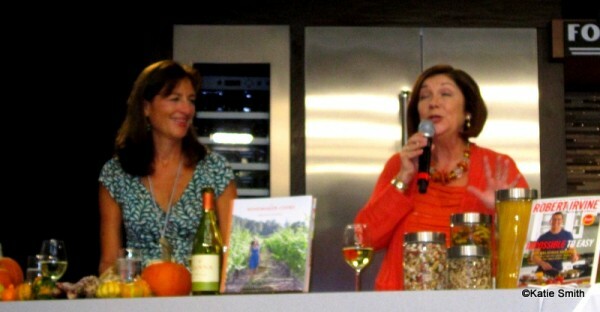 One of the most fun aspects of the festival is catching a low cost culinary demonstration with celebrity chefs. 2015 will see the return of many favorites. 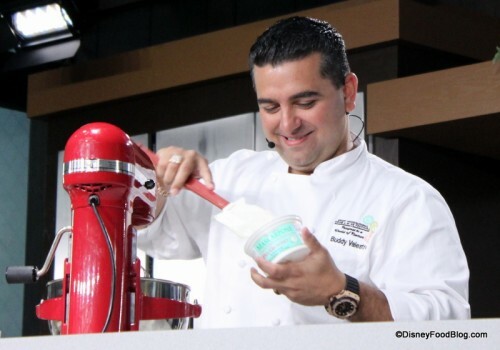 Look for Cat Cora, Robert Irvine, Jamie Deen, Rock Harper, Kenny Gilbert, and Buddy Valastro at Culinary Demos and Special Events. 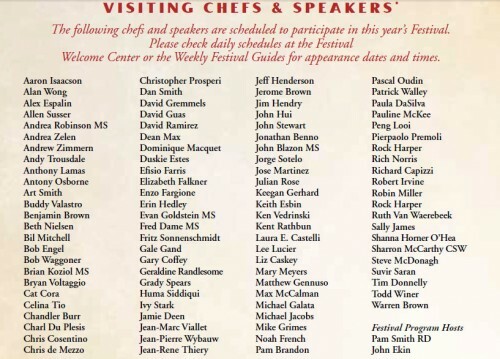 The festival will also welcome back chef and cookbook author John Ash, who appeared at the very first festival in 1996! Join us in welcoming 14-year-old guest author Katie Smith with a review of the culinary demonstration given by super popular Chef Robert Irvine at the 2012 Epcot Food and Wine Festival! I love hearing about the Food and Wine Festival from the perspective of one of our younger readers! Thanks, Katie! On Thursday October 25, 2012, my family and I got to see Robert Irvine’s culinary demonstration at the 2012 Epcot Food and Wine Festival. 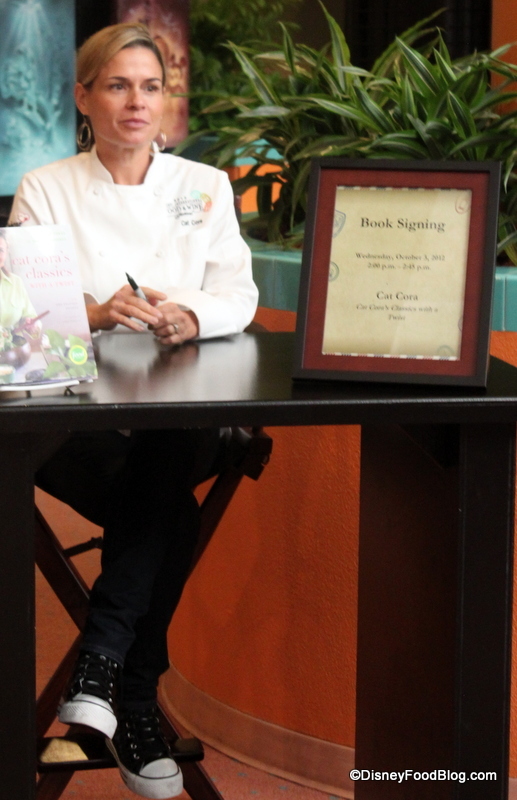 We had been to Cat Cora’s culinary demonstration earlier that month and thought we knew what to expect. Turns out, we had no idea. 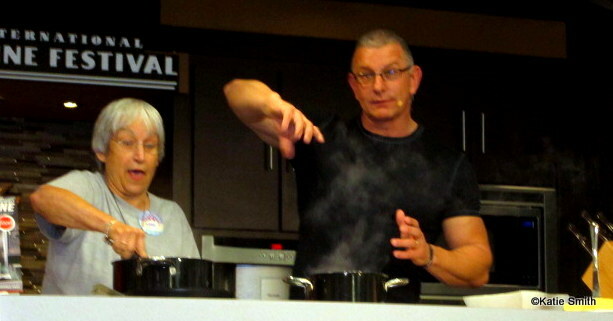 I am a huge fan of Robert Irvine, so I was really excited to watch him cook and eat his food! 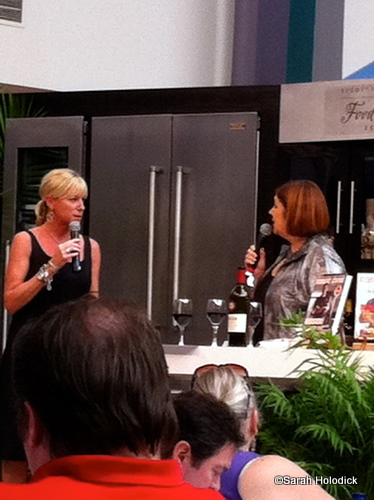 To start out, there was a representative from Hannah Winery & Vineyards from Sonoma County, California. The wine was a Hanna Chardonnay. Then Robert was introduced and proceeded to tell everyone to stand up, put their cameras down, their hands in the air and to go wild. It was a good way to warm up the crowd. Then, he started cooking the dish, which was a Seared Scallop, Polenta, and Demi-glace. He was very big on audience participation and had an audience helper on stage almost the whole time. 2012 Epcot Food and Wine Festival News: New Marketplaces and More! As we mentioned in our recent round-up, the 2012 Epcot Food and Wine Festival has upped the ante by one day this year — extending its original dates to September 28-November 12, 2012! But that’s not all the new info we have about our favorite time of the year! This year, the Epcot Food and Wine Festival will debut a Vegan Marketplace Booth, called TERRA (which we reported on last week), and a new Florida Marketplace Booth! 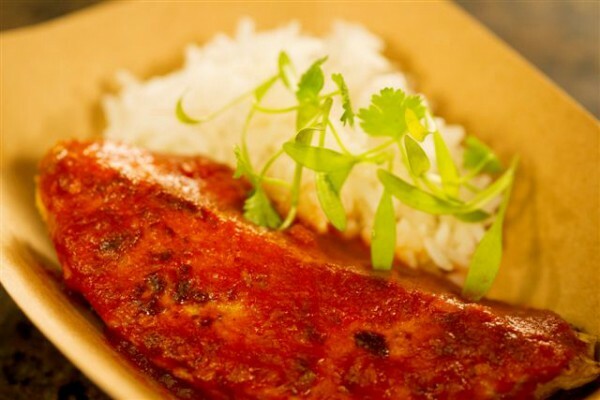 At TERRA, guests will indulge in vegan specialties like Trik’n Chick’n Curry with Basmati Rice and Chili Colorado with House Made Chips and Cashew Cheese (YUM!). The new Florida Marketplace will offer fresh local flavors with a twist! 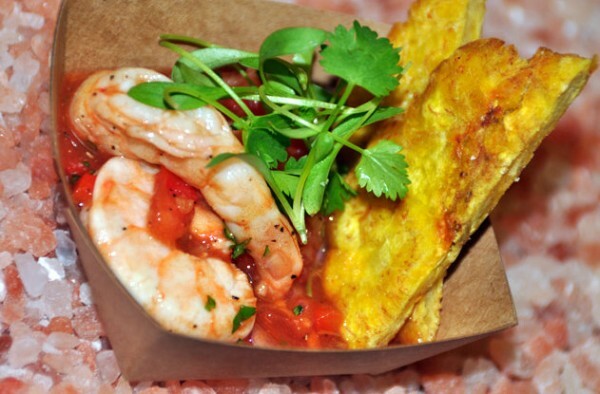 Check out this Florida Shrimp Ceviche with Fire Roasted Veggies and Crispy Plantains! 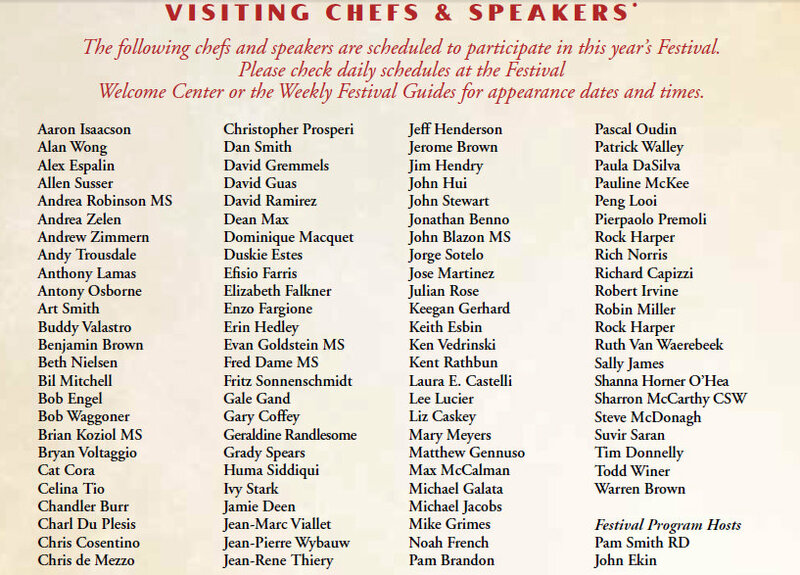 The list of Visiting Chefs and Presenters has been announced for the 2011 Epcot Food and Wine Festival! Are your faves on the list? Visiting Chefs and Speakers include Cat Cora, the Food Network’s Iron Chef known for her Greek and American cooking. WDW guests love Kouzzina! 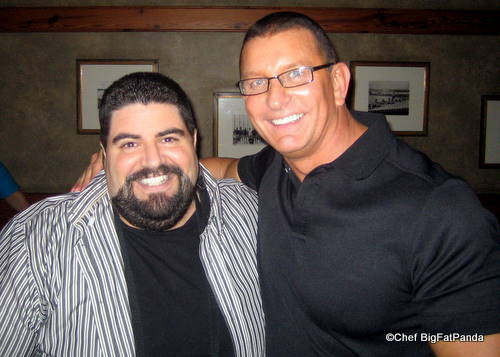 You’ve seen Robert Irvine on several Food Network shows including 2011’s Restaurant: Impossible. Travel Channel’s Andrew Zimmern may shock picky palates with his Bizarre Foods but he’s also a huge fan of Walt Disney World! And Keegan Gerhard, host of multiple Food Network Challenges, will surely present something mouth-watering! The amazing Ms. Sarah Holodick is back to share some insights and pics of her recent encounters with two of TV’s most famous foodies — Robert Irvine, from Food Network’s Dinner: Impossible, and Andrew Zimmern, from Travel Channel’s Bizarre Foods! Don’tcha just wish you coulda been there? You can find the review of Andrew Zimmern’s demo here. Below is Sarah’s review of Robert Irvine’s demo! On Sunday, October 24th, Matt and I headed back over to the Festival Center to see Robert Irvine’s Culinary Demonstration. Let’s just say it’s not quite what I anticipated! It started out much like Andrew Zimmern’s demo on the previous day, with a representative from Purple Wine Co. telling us about the Avalon Cabernet that had been paired with the dish we would be served. Robert then came in and took a look at everything around him. 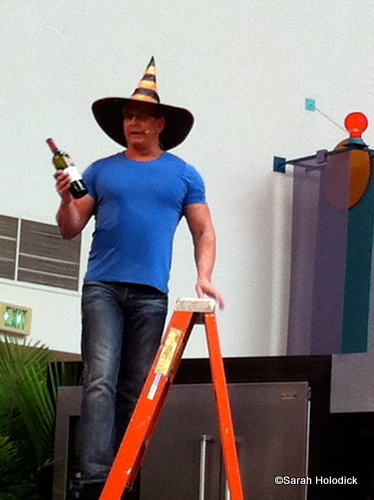 Chef Robert Irvine Meets Up With Fans in Disney World! Star of Food Network’s Dinner:Impossible and owner of Eat! Restaurant in Hilton Head, Chef Robert Irvine agreed to meet with a few of his fans in a low-key gathering at the Crew’s Cup Lounge at Disney’s Yacht Club Resort Friday night. Chef is in town for the Epcot Food and Wine Festival, and the gathering was organized by a few of his facebook fan page fans! Our fearless columnist, Chef BigFatPanda, had a front-row seat for the shenanigans of the evening. Take it away, Chef! A few Food Network fans on Facebook heard that Chef Robert Irvine was going to be in Walt Disney World this weekend. They thought it would be great to have an informal intimate gathering of less than 20 people to just sit down and enjoy a drink with the Chef — but this sounded impossible. Surely, Chef Irvine would be very busy and not really have time to casually meet up with a few select fans. If it’s a Wednesday in May, it must mean…Mirror Image Post day!!! Hooray!!! That’s right, today you get a two-fer — Ryan from Main Street Gazette and yours truly here at the Disney Food Blog are reviewing “mirror-image” food topics in Disneyland and Disney World. This week we’re taking a look at Disney’s Food and Wine Festivals, and I get to talk about Disney’s California Food and Wine Festival — which is going on RIGHT NOW! Disneyland Resort’s Food and Wine Festival is a fun, diverse, and exciting six weeks full of celebrity chefs, California cuisine, artistic exploration, great wine, and good beer. And here’s something you might not know — the festival takes place primarily within the gates of Disney’s California Adventure Theme Park! This year, the Festival is celebrating its fifth anniversary! It’s still a rather small festival, but with blockbuster seminars from chefs like Guy Fieri, Cat Cora, Keegan Gerhard, and Robert Irvine, along with fantastic wine and beer walks, tastes of incredible California ingredients, and a hip, “never-know-what-to-expect-next” atmosphere, the Festival fits its location and fills its six week stint perfectly. Chef Robert Irvine Cooking “Dinner:Impossible” in Epcot? Stay tuned for photos of the food. 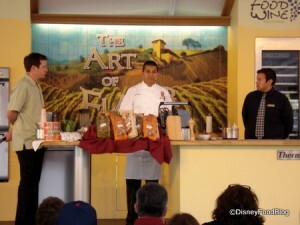 For now, here’s a few pics of Chef Irvine headed around Epcot and getting to work in his kitchen. Welcome to 2010! I hope you’re all having a wonderful weekend. And I know a bunch of you are gearing up for January and February Disney trips, so get that laundry folded and in the suitcase, already! Now, everyone’s posting some really fun things about Disney food in the past couple of weeks, so I can’t wait to share the latest with you. First, however, I need to share some news — one of my favorite counter-service offerings, Animal Kingdom’s Picnic in the Park, will become a “seasonal” offering after January 2, 2010. “Seasonal” in Disney-speak can mean anything from open once a decade to open all the time except when it rains, so we’re not really sure what it means in this case. Now, on to the Round-Up! Daveland Blog shares some cool Blue Bayou photos from Disneyland. Samland’s Disney Adventures shares a fun imagineering detail about Tony’s Town Square, which includes information about Le Chapeau next door, Walt Disney, Lillian Disney, and a puppy… . The Disney Blog has an awesome story about a giant Wall-e made of donated food cans, which will eventually benefit local food banks. Cake Wrecks reminds us that even though a lot of us are getting fatter, our character cakes are getting fatter, too! Studios Central posted a great twitpic that reminds us of Mama Melrose’s Ristorante Italiano. Don’t forget to drop by Studios Central directly for info on DHS! Teacups and Toasters has a series of posts on the Disney Wonderland Tea you can find throughout the parks and resorts. DLP.info shares the scoop that Earl of Sandwich will be opening a location at Disneyland Resort Paris. The site also shares a fun story on Mulled Wine at DLRP. The Orange County Register reported in December that Robert Irvine is possibly being courted for an appearance at the Disneyland Food & Wine Festival. 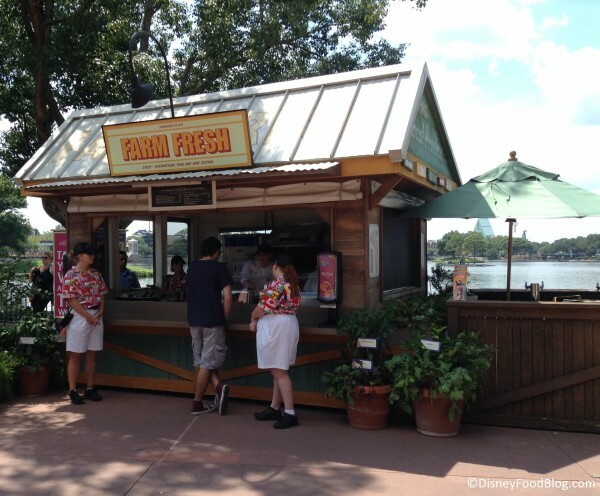 Laughing Place reports that Epcot’s Refreshment Port, which used to be home to McDonald’s products, is now selling Latin-inspired foods such as empanadas and dulce de leche sundaes. Cooking With Mickey is looking for your suggestions for recipes you’d like to see on the blog! 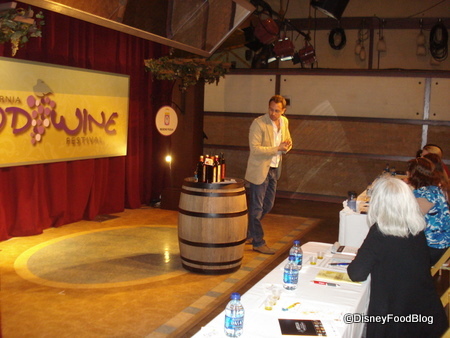 Main Street Gazette highlights a video and notes from Gary Vaynerchuk’s Portuguese Wines presentation in Epcot. WDW Magic has the news that Studio Catering Company will be closed from February 15th, to March 27th, 2010. Disney Every Day shares a video of the Boma Breakfast Buffet. Great links this week! Have a good first week of 2010!